The Greater Bad arrives on Kindle! The Greater Bad by Alan Cork has now been released as a Kindle eBook. The action-packed conspiracy thriller is available to buy now from Amazon.co.uk, priced £5.74. 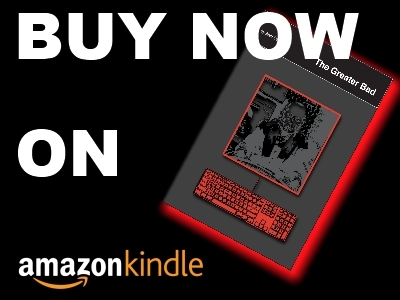 · The Greater Bad is a quirky, action-packed conspiracy thriller by Alan Cork that combines high-tech drama with classic pulp novel motifs.